Marc is a classically trained actor and singer (Neighborhood Playhouse, NYC. | Dalhousie University, Halifax. | Arts York: Vocal, Unionville. ), as well as a writer, producer, founding member and resident Web Designer for WORKhouse Theatre (www.workhousetheatre.com). His performances – ranging from the dramatic, to the comedic, to the melodic – have garnered critical praise from the likes of Toronto’s NOW Magazine, Halifax’s Chronicle Herald, and many others. 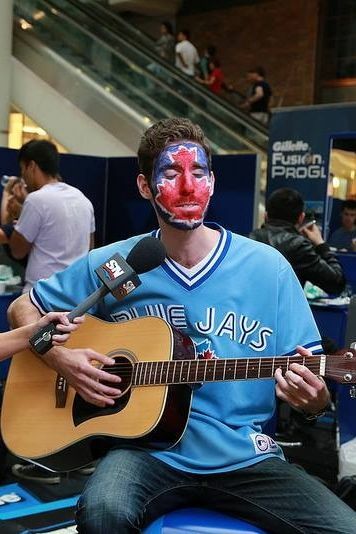 A self-proclaimed “sports freak”, Marc recently fused his passion for sports with his experience as an on-camera performer to lock down a finalist spot on “Gillette Drafted 5: the Search for Canada’s Next Sportscaster” on Rogers Sportsnet 360. On the production end, Marc has served as co-producer and director of marketing for WORKhouse’s productions of “WET” and “Pains of Youth”, and has recently been volunteering his time and efforts within the marketing wing of the critically acclaimed Harold Green Jewish Theatre Company.